Us moms know that having a good stroller is so important. But with so many options out there, how do you select the right one? Here are some recent NAPPA winners that are easy to use and built to last. The Silver Cross Jet is the all-new, ultra compact, lightweight travel stroller that folds so small it can be used as a piece of cabin baggage and wheeled like a small suitcase. 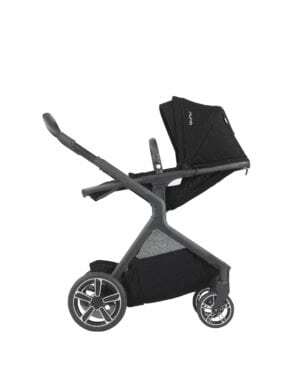 Jet is suitable from birth up to 33 lb and despite its small size, its roomy, durable and sturdy like a full-size stroller. Jet can also be converted into a travel system with a car seat and adaptors. This stroller has it all with 23 modes. The DEMI Grow stroller, featuring all weather seats, is crafted to convert from a single stroller to a double or a twin. It’s easy to fold, flip the seat, and switch to bassinet or travel system. The gb Pockit+ is one of the smallest folding strollers in the world. In only two steps, this lightweight stroller folds small enough to fit in the overhead luggage compartments on airplanes, or in a generous tote bag. 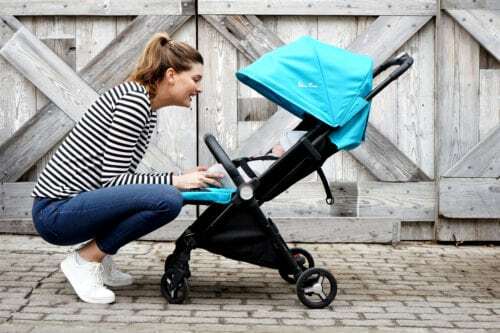 With a comfortable reclining seat, the option to use it as a 2-in-1 Travel system (with gb or CYBEX infant car seats), and the benefit of a self-standing fold, the Pockit+ is an urban travel genius. The gb Pockit+ is suitable from 6 months up to 55 lbs. 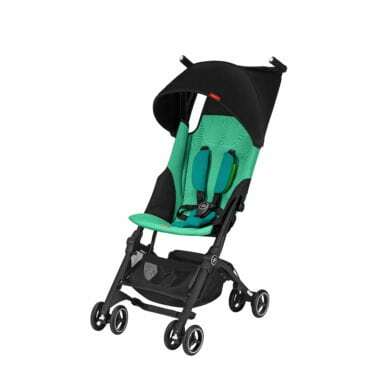 Jeep by Delta Children Sport Utility All-Terrain Stroller is an innovative stroller that’s actually three lightweight strollers in one! It’s equipped with a car seat adapter for easy travel with newborns. For infants, it functions as a parent-facing carriage stroller. Toddlers can sit upright facing you or forward-facing. 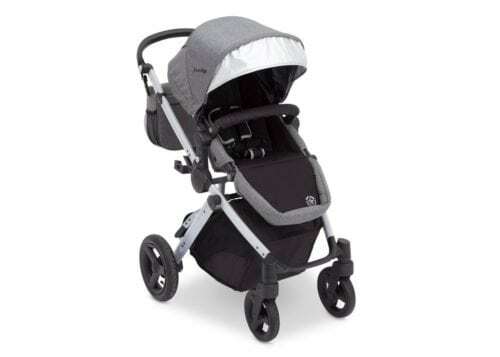 It includes safety features such as a one-touch cable lock brake system, a pop out SPF 50 sun visor, adjustable handle for parent’s comfort and reflective piping to ensure you and your baby are seen at night. School is out and it’s time to PLAY! With these new NAPPA winners, your kids will not want to come inside. Get ready for some spinning fun with PlayMonster’s Super Spinner. 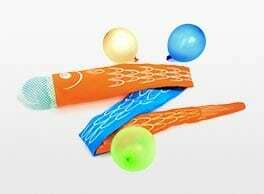 The round curved seat centers little bodies in the most secure part of the seat; combined with its adjustable double-braided ropes and weather-resistant clips, the Super Spinner is designed for a safer, more comfortable ride — making it one of NAPPA’s best outdoor toys. 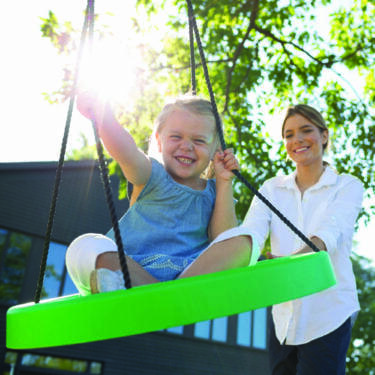 Super Spinner holds multiple patents and is designed so kids can swing and spin from a tree, a play set or a secure structural beam. 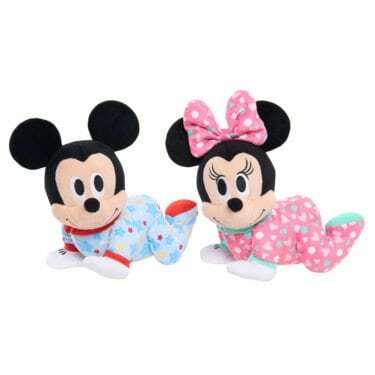 Swing, spin and soar – swinging will never be the same. Easy to install and made with durable materials, Super Spinner swings are built to withstand the elements. A small hole in the middle of the seat allows for water drainage. 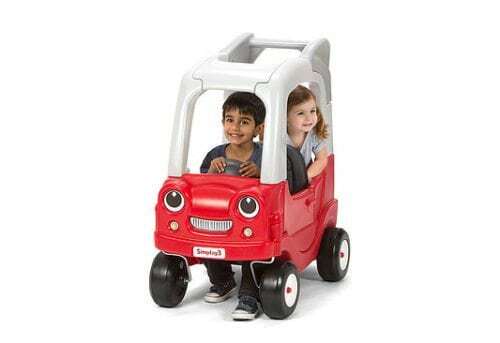 Another fun product by Simplay3 — My Buddy & Me SUV is a two passenger ride-on featuring a large handle for push along cruising. When your toddler matures, a removable floor board panel rotates and locks underneath never detaching from the vehicle. The child is now the driver in foot-to-floor mode. Front seat back can be placed in multiple positions. When it is all the way forward, there’s room for a buddy to ride along. When placed all the way back, it serves as a tailgate.